Catch the action with our new burst mode! 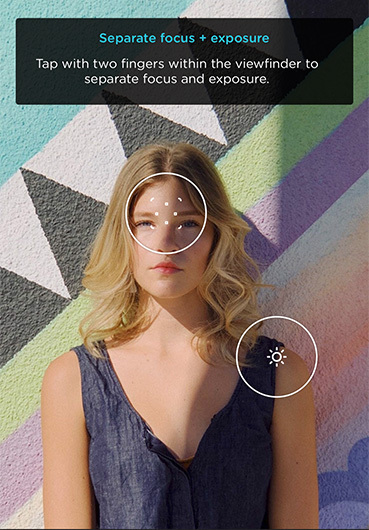 It works with JPEG, HEIF, and RAW formats, for the highest quality snaps. Then just hold down the shutter button to capture a stream of photos in the selected format. Note: Only Pro users can select RAW format with burst. New users will be given an animated tour on how to use some of the basic functions of the app. Tap on Intro Tutorial in Settings if you want to check it out. 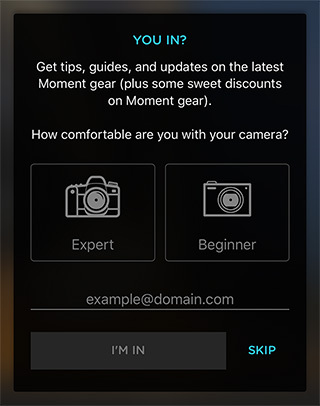 Get the latest tips on getting the most out of the Moment Pro app! You can find it in Settings, then Subscribe to our Newsletter. 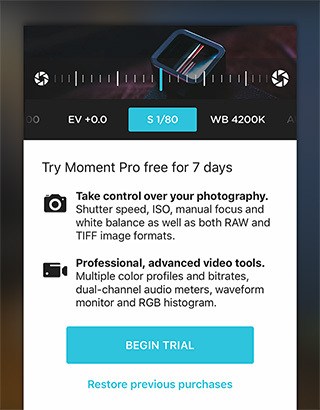 Now new or existing non-Pro users can try out all the features of the app for a week before deciding to purchase! Fixed a bug where recording in 4K above 30fps, or 1080p / 120fps with H.264 would actually record in HEVC.